How do you make the best image compression plugin for WordPress even better? Hmmm, how about making it able to SMUSH ALL THE THINGS and in turn introduce total compatibility with not just every single gallery, slider or theme available for WordPress, but even non-WordPress related images? Yep, that sounds pretty good :) Which is why the latest version of Smush Pro does exactly that. Updated: 12/20/2018 – Smush Pro now includes WebP compression, automatic image scaling and 10GB of CDN storage on our 40 Tbps servers with 45 share points around the world. Read on to see how it works and how I used it to improve my Google optimized image score from a 32/100 to a 93/100, giving me a 21 point gain on overall page load time. So How Exactly Does Smushing Anything Work? This part is really simple. Just scroll down to the bottom of your Smush admin page (Media > WP Smush) and you’ll see a brand new Directory Smush feature. You know what to do… hit that button! Now, it’s as simple as selecting the directories you’d like Smush to, erm, well Smush! Of course, by far the easiest way to get Smush to sort out all of your theme, gallery and plugin files is to just select wp-content. But you can literally select anywhere you like… We’ll even Smush your cPanel images if you really want us to. And, of course, you can re-run Smush on as many directories as you like, so you don’t have to worry about being completely correct off the bat. All while making sure that nothing goes wrong by excluding significant WP core files that you really shouldn’t be smushing. You are then able to review all the directories, sub-directories and images that you are about to Smush and, of course, remove them if you wish. Although all the usual Smush tools are available, so you can happily select to keep the original images alongside their new super compressed and speedy new cousins. And now you’ve set it up, just click Bulk Smush and you’re away. Smush will go about its business, just being its usual efficient and happy self! Yes, you may question the wisdom of smushing our 2010 theme… but I’m having fun! But What About the Results? Well, this is where things get seriously cool. I’ve actually been waiting (and harassing people) for this Smush feature for aaaaages, largely because in The Hub I saw pretty much every day an annoying warning sign next to incsub.com that told me that it wasn’t performing well, mainly due to theme images outside of the usual Smushing range. Well, complain no longer (or, at least, complain about something else like Gravatars not being properly cached, bah!) because Smush has sorted that out! Now, this is the point where you make it clear that Incsub is, ahem, a company website and so should be a lot better in the first place, but the thing is it’s both astonishingly old and also, well, I’m kinda into eating my own dogfood. And perhaps most importantly of all, I was able to do it all by myself via Smush Pro and without consulting a single member of the (far more competent than me) people I work with! So, why not give it a go yourself. If you’re not a member already you can sign up for and use Smush Pro and it’s new directory smushing feature on as many sites as you like right now, entirely for free. Let us know what you think about this new feature in Smush! And if you have suggestions for how we could make Smush bigger and better, let us know in the comments below! Wow! That looks awesome! Was wondering if it would be possible to look into how Smush can do it’s job if your images are on external storage such as S3? I just had a chat with the Smush team, and you’ll be glad to hear we are considering adding support for external storage like S3. Right now, it’s in the early planning stages, so give us some time to make sure we can do it the right way. We definitely hear you, and we’re very optimistic about our options. Keep an eye out! #Seconded – I use a plugin to offload images to S3 and as a result it makes it very wonky when I try to smush stuff. Does WPMU Dev have an s3 solution in general? 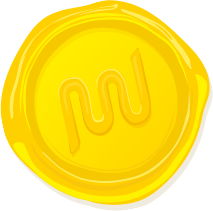 *Does WPMU Dev have an s3 solution in general? * – not sure what do you mean by general solution? Are you asking if we have a solution for Smush working with S3 or any plugin for S3? As Michelle mentioned before we are considering adding support for S3 in Smush – and no, there is no other plugin in our repo for S3. if this what you meant? Please let us know. I meant do you guys support S3 in various ways via other plugins. it sounds like no. But I’ve found my s3 Integration (offloading media to s3 for unlimited storage) plugin to be kind of clunky. Would be great if you guys ALSO had a plugin to move the storage, along with some cool features like s3 backup, etc. I’ve been meaning to do this since the release but one thing is bothering me. Is there anything that I should NOT be smushing? I can think of ways to really use and abuse Smush now. Hi Mark! The only image type Smush doesn’t work great for is .gifs, but that’s because .gifs are already pretty optimized. Smush jpgs and pngs like there’s no tomorrow, though! Smush all the things! To clarify it works with gifs, just often because of it being such an inefficient filetype there isn’t much we can compress off of it. Example yesterday Smush averaged 5% savings for 200k processed gifs. :-) Smush away. Our new update was specifically created for you to save space and decrease upload time. I too would love the plugin to work with images on Amazon S3. I have a BuddyPress site and because users can upload all sorts of files I want the cheaper S3 storage and use the plugin from Delicious Brains that puts the images on S3 and then deletes from server so there is nothing there to smush. I believe the EWWW optimizer is the only plugin that works currently with images on S3. In the meantime, though, I think in your particular case we might be able to work around things. 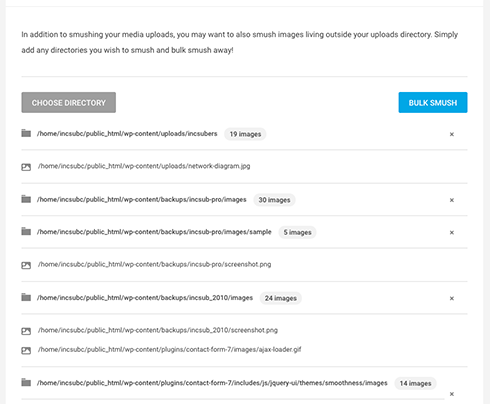 Are images uploaded to your media library before Delicious Brains sends them to S3? If so, with the “automatically smush images on upload” feature active, Smush can Smush before Delicious Brains transfers. Would that work? I have a large library already offloaded to S3 so it wouldnt’ work for me. Just hang in there. We are making huge changes this year. I shall try that – I guess it depends how quickly they grab the image to transfer it to S3. S3 is on it’s way! Changes the game baby… changes the game. Actually, why doesn’t it access the “Images” folder? That would really change the game. My themes break the images down in dimensional versions. You’re so welcome! Thanks for taking the time to leave such a nice comment. I know the Smush team appreciates it, too. We’re so glad you like it! Thanks this saves me a lot of downloading and uploading images from wp-conent. Not sure about the weird bug it does when it fails by creating .bak files and then resmushing those instead of removing them when you resume the scan. That’s not expected behavior, I mentioned opening a ticket in a different reply to help sort out the directory issue, I think maybe our support team should take a closer look at your site. Can you add this issue to your ticket? Thanks a bunch, we’ll help get it sorted out. When does this go live? Just checked and I don’t see any updates available. Can you enable this so it works for all images and any image uploads going forward no matter where the image is uploaded? For example, let’s say I actually also wanted to post an image that I had on dropbox and I wanted to do it from wp-cli. Could I do a command like this and tie it to a post? Also, does it work if my existing images are on s3? wp media import is equivalent to the add media dialog in your dashboard, so if you have “Smush on upload” turned on it should take care of those! Can you compress images in, say, PDF files? That would be fantastiic. To be able to upload a PDF that is larger than the current PHP settings, compress it to a good quality and then save it to the media gallery, if it was small enough, would be stellar. We could avoid online PDF compression services. We don’t have plans at this time to smush PDFs, doing so wouldn’t increase your site’s speed or SEO standing, which are our primary goals with the Smush project. I’ll mention this to the team, however, and they’ll take a closer look. EWWW has had the ability to deal with content outside of the image gallery for a long time. I’m glad to see you folks have added this to Smush… but there’s a problem. 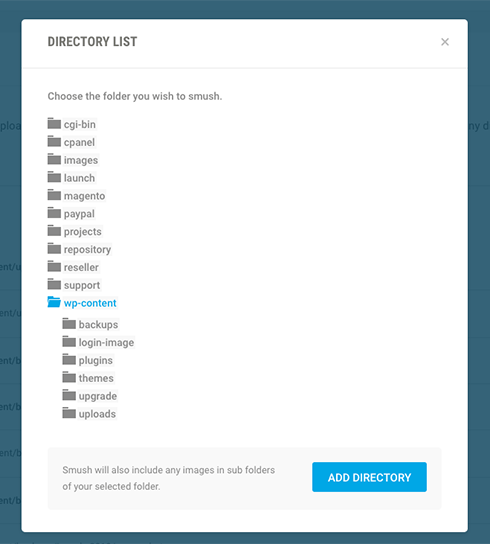 In Multisite directory Smush is only available on Main site (Media -> WP Smush -> directory is under the settings). There is no additional options for enabling it. Which nag are you referring to? I’m checking on my site and there is no nag on subsites on bottom of the Smush screen. Can you make a screenshot and we will check that. Hi Guys, lot’s of positive reviews here and I don’t want to look like Mr Meanie but $49/month? Smush is really great and helps a lot with speeding up load times, but is $49/month for a file compression utility good value? I’d love to get the full version, but it doesn’t make commercial sense compared to my other subscriptions. Wordfence Premium security is just $8.25/month and protects my sites from hacking. Our Siteground web hosting is fast and excellent at only $5.75/month. Yoast SEO Premium works out at $5.75/month. All three added together still comes to less than half the cost of Smush. Perhaps I’m missing something really special about Smush, but I think I’ll stick with tinyjpeg plus fast hosting for now. Not trying to be an apologist for WPMUDEV… just wanted to share why I think it’s actually a great value. Thanks for your helpful reply Johnol. I think your point 4) answers my question nicely. I manage 32 websites and if the tools work across all my sites with one monthly fee then it looks like a ‘no-brainer’. I have to agree. When they changed their pricing to a flat 50 monthly I was pissed. There’s one or 2 plugins that I consider necessary and the rest are nice to have. I have a membership through my work and that’s basically the only reason I have a membership. If were still doing freelance I couldn’t justify that level of cost. For the record that’s 600 dollars a year. Or 5 Netflix Subscriptions. That’s slightly less than I pay for car insurance on a new vehicle. I totally hear you re: concerns and you can pretty much blame me… essentially what we (well, me especially) wanted / want to do is provide you with as much support and as many critical services and products as you need to run your WP business, be that your own sites, your clients or your employer. Aaaaaand, in order to do that the only possible way is to have one flat fee that covers *everything* rather than, for example, just selling the Smush service separately. So you get all the plugins, upfront themes, backups, security, performance management & improvement, the hub and a whole heap more (and plenty more coming too)… for an unlimited number of sites. Not to mention on demand expert WP support. And, of course Smush Pro. So the aim is to essentially provide you with the platform to build a business on, something that will enable you to be super successful, to save a vast amount of time and to have your back at all times. Which, I hope, is worth $49/m. Hope you are well. I did a quick calculation of just the three plugins you mentioned. That is already $19.75. Our monthly subscription is not just for one plugin, it is for every plugin and theme. 1. You get to use all our plugins plus our themes for one price. 2. Our support is 24/7. I am not kidding. We have staff working around the clock. 4. Plugin integrations and add-ons. Marketpress (e-comerce plugin). Depending on what you want, you will have to spend $99 to start with other companies. Coursepress pro(course plugin) Your looking around $100 here. We have many more plugins on offer. Themes are generally expensive. Ours are included in your membership. You don’t have to find someone who can customize your theme, you can do it yourself with Upfront, our page builder, which has the ability to create themes from scratch and has custom coding options included. If you just look at page builders. The price alone is worth it. Most page builders. I am not naming names can only be used on one site. You have to buy a license everytime you want to use it on any other sites. This is roughly $40, no customization included. If you look at a page builder that you can use on any number of sites you have, you are looking at a $100 a year, no plugins included. Add-ons for page builders add up pretty quickly. Our page builder comes with 8 predesigned themes. Can be used on any number. Have awesome functionality (theme creation and customization with a dash of code if you like). As you can see, the benefits out way the price any day. We offer value for money. And great support. Hope this explains why it is worth to pay $49 a month. The new features are awesome!! The ability to SMUSH ALL THE THINGS is definitely going to come in super handy! I do have a question though – did you guys add a caching feature to the plugin that wasn’t there before? In the past couple days I’ve had several situations where I’d make updates to the style sheet of a site still in production and the client, even after a hard refresh, would be unable to load the stylesheet to see the changes. Each time I would look at the site in another browser and realize that I was also unable to load the changes, and after disabling WP Smush suddenly the new stylesheet would load. If this is a result of a new caching feature is there any way to toggle it on and off? If there’s not a way currently, can I suggest that as a feature? We install WP Smush as a matter of course on all sites we build, right at the start, but any sort of caching makes the production process tricky so if we can’t disable it we’d need to either disable and reenable the plugin throughout development or wait until the site was complete to install WP Smush (which is doable, but we’d much prefer to be able to smush as we go!). Thank you for your time and the awesome plugins!! I agree the new features are awesome. I had a look at your question. That does not sound right. Could you please log this with support. This shouldn’t be happening, could you please create a new thread about it and a representative from our support team will be in touch with you as soon as possible! I’m excited to try smushing all, thank you for this added feature!